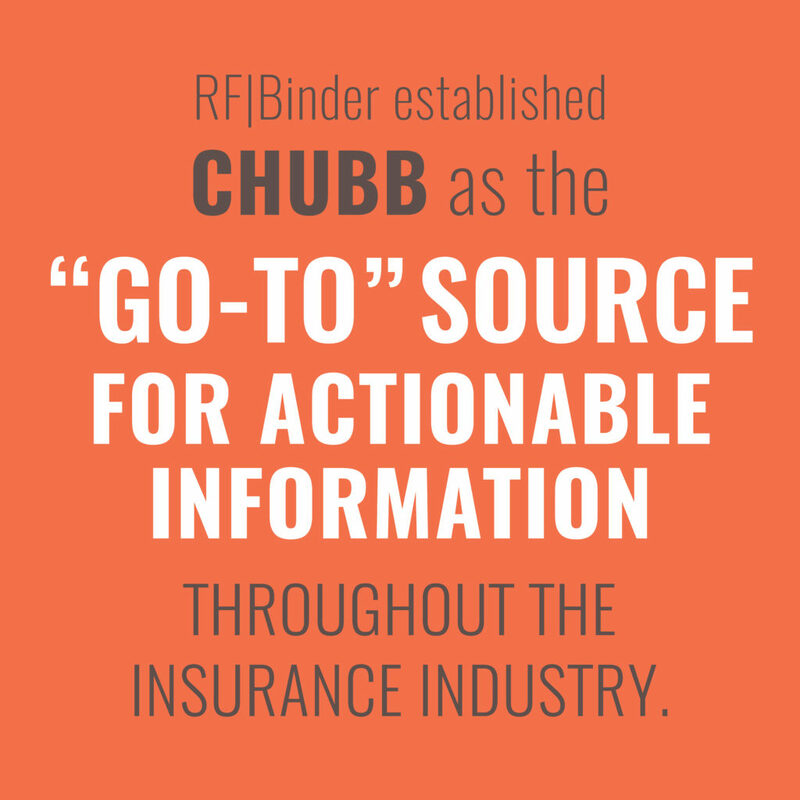 While globally ACE (now Chubb) insurance was known for its breadth of products, the company still needed to grow its awareness among both consumers and businesses in North America. ACE retained RF|Binder to help elevate awareness of the global insurer’s North America business, and its breath of products and services. 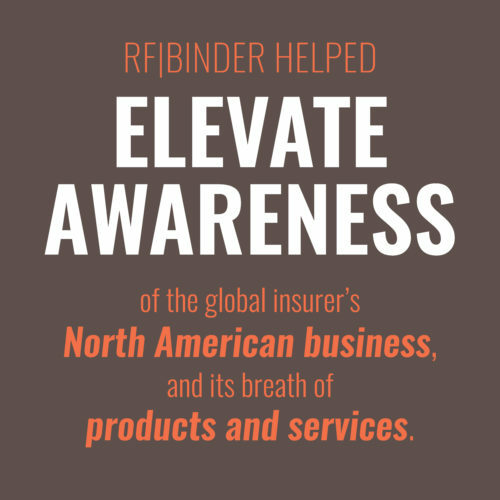 RF|Binder knew that on its own, educating reporters on products and services related to insurance would drive little media traction. To drive media interest in a creative way, RF|Binder set out to establish the company as the “go-to” source for accurate and actionable information throughout the insurance industry. 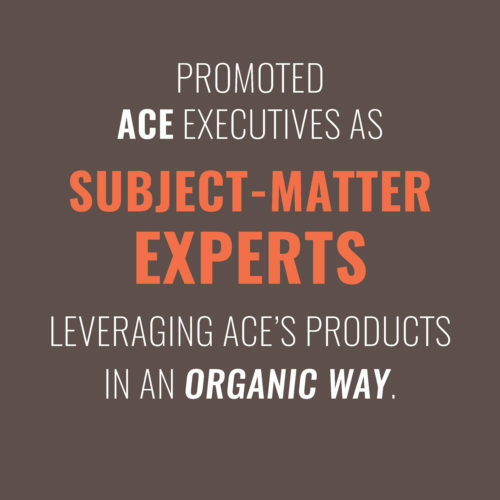 The PR program included proactive media relations campaigns with the insurance trade press and national business media that centered on promoting ACE executives as subject-matter experts and dovetailed with ACE’s proprietary research, industry insights, all that intrinsically leveraged ACE’s products in an organic way. 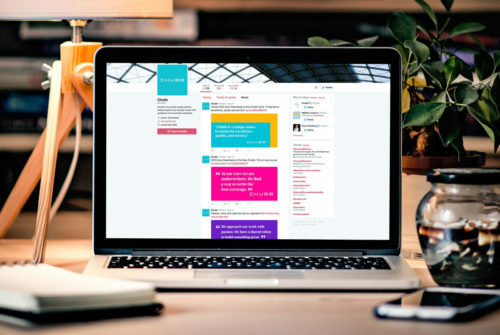 ACE North America and its respective business lines have experienced a significant uptick in media coverage and share of voice over the past three years. Specifically, its media mentions have increased some 42% since 2013. Moreover, ACE North America has experienced about a 12% increase in net premiums written from 2012 through present day.